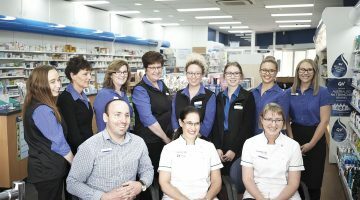 Community pharmacy is in a position to make significant inroads in the support and health outcomes of people living with diabetes, reports Leanne Philpott. Type 1 diabetes typically occurs during childhood and adolescence, but it can actually emerge at any age. Australia is ranked seventh highest in the world for the prevalence of type 1 diabetes in children aged 0–14 years. “DIABETES IS A BIG and complex epidemic. There are different types, different stages and it affects different ages and that’s the reality of the challenge. All types of diabetes are on the rise and yet the pharmacy can intersect at different ages and points in the cycle,” says Diabetes Australia CEO Professor Greg Johnson. “The pharmacist plays a critical role in educating the person with diabetes about their medication, especially what the medication is, how it works and any associated side effects such as hypoglycaemia,” Brown adds. Hypoglycaemia tends to be more common in those with type 1 diabetes who need insulin injections to manage their condition. In general, it’s unlikely to occur in those with type 2 diabetes who can manage their diabetes through eating a healthy diet and regular exercise. Blair explains that while most people with type 1 diabetes will be managed by a diabetes team, there are questions the pharmacy can ask to help support the patient. “Often the questions asked at a pharmacy would be on testing or injecting equipment, insulin, the effect of other prescribed or over the counter medications, how to manage high or low blood glucose levels and how to manage non-diabetes relation illnesses such as colds or vomiting,” says Blair. She adds that specific questions around testing, including target ranges, may result in referral to the patient’s doctor or diabetes educator as the information would need to be personalised in relation to their treatment regimen with insulin. Despite being the cornerstone of diabetes management, reaching the glycaemic target can be difficult. “There are lots of new technologies with insulin pumps, new insulin delivery systems and different and new ways to manage blood glucose levels,” says Prof Johnson. “The role for the pharmacist is to discuss these with the patient. Ask how they are monitoring their diabetes and give advice. It’s a big space and we don’t expect pharmacists to know everything. “Many elements will influence blood glucose levels and therefore HbA1c. Importantly, the pharmacist can assist the person with diabetes by ensuring their medication is being taken as prescribed, addressing any issues relating to medication and referring back to the health care team where needed,” says Brown. “Achieving glycaemic target is not easy. It’s serious and complex. Not everyone will reach a treatment target. It doesn’t mean the person is a failure or that their care and treatment has failed. If we focus solely on targets and measurements it sends message that the whole person has failed, so it’s important we’re constructive and give them hope and help,” says Prof Johnson. “It’s imperative to ask how the person is feeling, how is their ability to manage the diabetes. Too often we focus on targets and we don’t look at the whole person. This is the message to pharmacists—have a discussion with the patient about how they’re feeling and coping as these are just as significant and important,” Prof Johnson adds. There’s the saying ‘change is difficult, not changing is fatal’ and this can certainly be the case for those with diabetes. Around 90% of people with diabetes have type 2, which according to Diabetes Australia can be delayed or prevented in more than half of cases through healthy eating and an active lifestyle. However, the challenge can be getting people to change their longstanding lifestyle habits and adhere to prescribed medication. “There are multiple challenges when it comes to medication adherence for a customer with type 2 diabetes. For some customers, the initial diagnosis may result in multiple new medications being commenced at once. In any situation, this can lead to non-adherence but in addition to the new medication, the customer will also need to commence regular check-ups with other health care professionals, regular blood tests and blood glucose monitoring as well as lifestyle and diet modification. In some cases, this can feel like ‘information overload,’ which can lead to confusion regarding medications,” says Terry White Chemists Clinical Services Pharmacist Krystel Tresillian. “Pharmacists need to be mindful of this and ensure that they approach medication adherence in type 2 diabetes with patience and be aware of not overwhelming the customer, particularly at the time of diagnosis. Ensure you treat counselling on type 2 diabetic medication as an ongoing process and check adherence with the customer regularly. Allow time for all the information they have received to sink in—booking a follow up appointment, or regular appointments, with your customer to go through their medication and any other questions they may have may be necessary,” says Tresillian. “Ensure the person with diabetes has the support of the total health care team, including a diabetes educator, GP, dietitian, exercise physiologist, psychologist and endocrinologist if required. Information regarding the medication is important—such as why this medication has been prescribed. Also be mindful of health literacy amongst clients—not every person will understand what is being said in the same manner or has the same level of education,” says Brown. “Don’t be afraid to ask the person with diabetes if there are any issues relating to their medication. Educate them about any drug interactions; ensure the person knows what the medication is for, how it works, and any possible side effects. If it is a drug, which puts the person with diabetes at risk of hypoglycaemia, then ensure the person has information regarding hypos. This may require referral back to the GP, diabetes educator or practice nurse,” she adds. “As with any chronic disease, it is important the customer understands that just because they do not have symptoms, or the doctor is happy with their recent blood glucose/HbA1c results, they should continue to take their medication as prescribed. 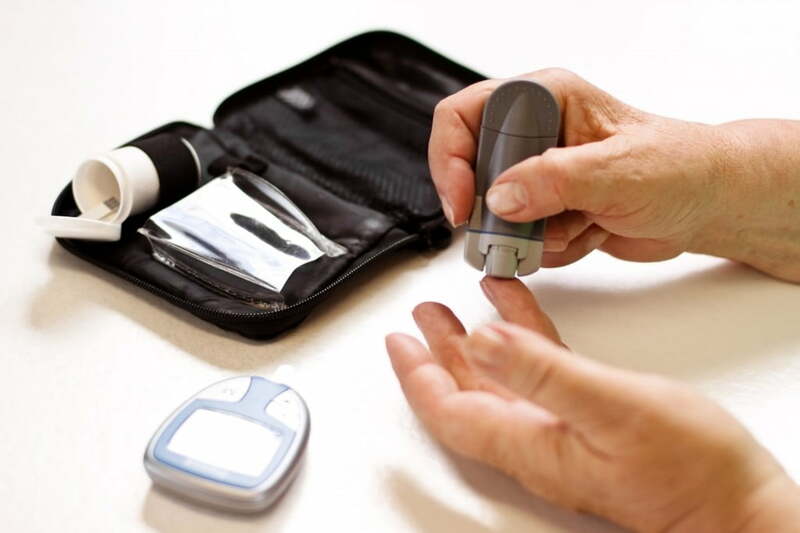 With type 2 diabetes, as many other diseases, the customer may have no symptoms so it is crucial they understand the long-term benefits of their medication. 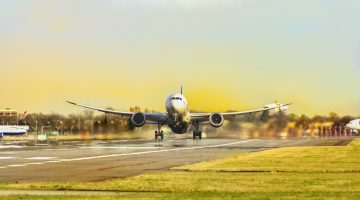 Remember other strategies that may assist the customer, such as medication packing, SMS reminders to fill their scripts and keeping prescriptions on file,” says Tresillian. “Help patients to understand that the day-to-day self-management decisions that can affect their diabetes management relate to diet and food intake, their level of physical activity—often this is not given emphasis and support— weight management and a sense of wellbeing as well as psychological status,” says Prof Johnson. “All the evidence we have to date indicates that healthy eating and remaining active will help to manage blood glucose levels and improve outcomes for customers with type 2 diabetes. This is very important for not only managing type 2 diabetes, but reducing risks of co-morbidities, such as heart disease, reducing weight, and improving mood,” says Tresillian. “The long-term complications of diabetes are caused by the effect that high blood glucose levels have on blood vessels. Two important studies, the Diabetes Control and Complications Trial (DCCT) in patients with type 1 diabetes and the United Kingdom Prospective Diabetes Study (UKPDS) in patients with type 2 diabetes, found that people with blood glucose levels closer to the recommended target range had fewer complications than those with higher levels,” adds Blair. “That said, changing lifestyle overnight is not easy for anyone, so pharmacists need to be patient and supportive of their customers with type 2 diabetes. Remember to help your customer celebrate every little win and every positive step forward. Ensure they understand what is meant by ‘healthy eating’ and ‘sugar’; never assume it’s obvious what these terms are,” says Tresillian. “I once counselled a customer who firmly believed the GPs diagnosis of type 2 diabetes was incorrect, as she ‘never added sugar to her tea’ and so had no ‘sugar’ in her diet,” says Tresillian. “We know that many people with diabetes suffer serious anxiety and stress. The four key things to think about, alongside medication and compliance, when having a discussion with your patient are eating, physical activity, weight management and psychological wellbeing,” says Prof Johnson. “Although diabetes is a disease which can be self-managed, those people living with the disease need to know that managing their condition is not something that needs to be done alone. Like the old saying ‘many hands make light work’—teamwork makes for a less complicated and better quality of life. Family, friends, and work colleagues, along with the healthcare team and other services are all avenues of support. It’s important that the person with diabetes is the ‘leader’ of their own condition but more importantly the leader of the team—the CEO of the condition,” says Brown. “Evidence suggests that a combination of lifestyle modification and appropriate therapy to maintain HbA1c and cholesterol within the guidelines are the keys to avoiding complications in type 2 diabetes. “This is likely the advice the customer will be receiving from their GP, diabetes educator, endocrinologist and other healthcare professionals so the pharmacist should aim to reinforce this message,” Tresillian says. Prof Johnson agrees, “those with diabetes need multi-disciplinary care and support. In Australia we have a disconnected health system so it can be difficult for those with diabetes to navigate the system; not only do they need to see their doctor but also a dietician, diabetic educator, someone to help with physical exercise, as well as the pharmacist for help in medication management. “All these healthcare teams contribute and so it’s important the messages are consistent and the person is not receiving mixed messages. “Pharmacies are very accessible, so pharmacists should see their role as being part of broader healthcare team. It’s not about one profession owning diabetes management; it’s about connecting the services together,” says Prof Johnson. “Diabetes is multifaceted and pharmacists aren’t expected to know everything but where they can make a real impact is in listening and supporting the person with diabetes as well as their family and carers,” Prof Johnson adds.